This Ooty- Kodaikanal- Munnar triangular tour is especially organized for new couples for their marvelous beginning of new lives in touch of the charming beauties of the places. 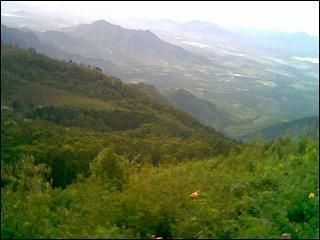 The tour package is of South India Tourism Packages. The 7 nights and 8 days journey with mixed enjoyments of natures, boating in lake, different types of games and wonderful stays at different locations would be mindboggling and memorable. Go through the article and plan accordingly. On arrival at Coimbatore airport or railway station, you will be welcomed by the representative of South India Tourism Packages. They will take you to Ooty which is 3.5 hours journey from Coimbatore. On arrival at Ooty check into the hotel and proceed for sightseeing tour by visiting Botanical Garden, Ooty Lake, Ooty town, Dodabetta peak. All the places have their own importance and beauty. Come back and stay overnight in the hotel. After breakfast visit Coonoor to see the beautiful tea gardens, Rose garden, Sim's park, Avalanche, Dolphin's nose, Ketty valley, Koddandu point and Lamb's park. Come back and stay overnight in the hotel. Early morning after breakfast move to Kodaikanal which is 6.5 hours journey. On the way, visit palani temples. After reaching Kodaikanal check into the hotel and stay overnight. Full day is free for independent activities. You can visit the Kodaikanal Lake- an artificial lake spread over an area of 60 acres surrounded by slopes. Here you can enjoy boating and fishing. After that you can visit Cocker's walk, Golf links, Green valley view, pillar rocks, Silver Cascade falls, Bear shoal falls. Stay overnight in the hotel. After breakfast move to Munnar which is 5 hours journey. On the way you can see tea gardens spread over hundreds of miles, looks like a green carpet, the beautiful hills with very less population and pollution free. On arrival at Munnar check into the hotel and enjoy the evening by visiting tea estates. Stay overnight in the hotel. After breakfast trip for a sightseeing tour and visit Raja Malai- the highest peak of Munnar, Muttupetty dam and enjoy boating in the lake. Stay overnight in the hotel. After breakfast move to Alleppey which is 5 hours journey. 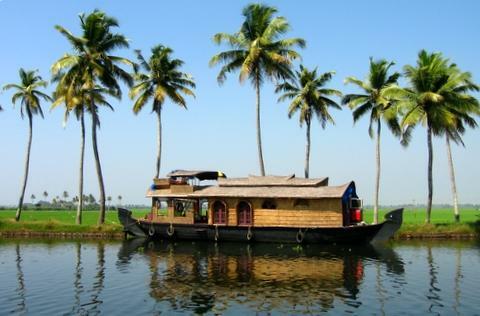 Alleppey is a place of natural beauty with array of rivers, canals and lakes. On arrival at Alleppey check into the Kerala houseboat and enjoy cruise through the backwaters. Stay overnight in the houseboat. After breakfast move to Cochin airport or railway station which is 2 hours journey and start your onward journey.